100's of events at your fingertips. Sir Roderick, David, “ROD” Stewart is a British rock singer songwriter born in London but to all of us north of that border he will always be a Scotsman. Tonight RICHIE presents his tribute to Sir Rod’s career, from the earliest launch of those famous “raspy” tones in the early 60’s, right through the years to his recent reincarnation as a crooner, with the American Songbook series of recordings. 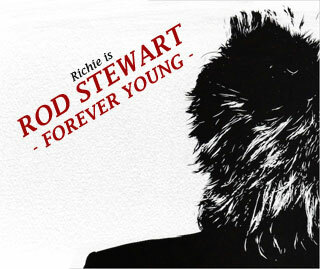 In the world of Rod Stewart tributes Richie rates very highly and his delivery is very much in the style of the master himself. 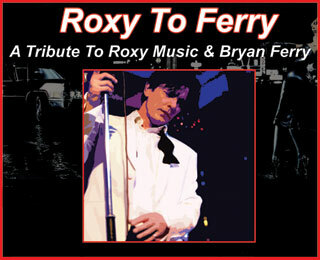 ROXY to FERRY are a Tribute to Roxy Music and Bryan Ferry, performing classic hits made famous by this iconic group and their charismatic lead singer. Step inside the DeLorean, switch on the flux capacitor and get ready to go back in time with The Electric 80s Show. The Electric 80s Show includes over 30 classic 80s songs by legendary artists including Michael Jackson, Madonna, The Human League, Rick Astley, Bananarama, George Michael, Journey, Cyndi Lauper, Bryan Adams, The Pointer Sisters, Tiffany, Duran Duran, The Weathergirls, Erasure, Huey Lewis And The News, Kim Wylde, Heart, Patrick Swayze, Eurythmics, Belinda Carlisle, Kenny Loggins, Irene Cara and many... many more! The Electric 80s Show features the talents of three incredible vocalists, with authentic costumes and choreography paying tribute to some of the decade's most iconic music videos. With so many classic hits squeezed into one slick stage show, the Electric 80s Show is not to be missed. 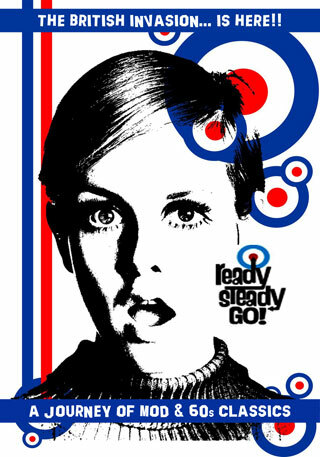 There was never an era that had more style than that of the swinging sixties.... Here at The Ferry we present this extremely popular theme night based on the iconic 60’s TV show. Live band & Ferry favourites, Mod Life Crisis will be performing classic hits from the the original TV show recalling the sounds of The Small Faces, The Who, The Rolling Stones, Booker T & the Mg’s and The Kinks to name but a few, before the recorded sounds of Motown, Stax, 60’s RnB, with a peppering of Northern Soul take over and provide the music to dance the night away! Dig out your Mohair Suit, Mini Skirt, Knee High Boots and join us for what is sure to be an outstanding trip down memory lane!!! Founded by singer Debbie Harry and guitarist Chris Stein and originally recognised as a pioneer of the early American new wave and punk scenes of the mid-late 1970s BLONDIE’s arrival on the commercial market was cast with the release of Parallel Lines in 1978. Over the next three years, the band achieved several hit singles including "Heart of Glass", "Call Me", "Rapture" and "The Tide Is High" and became noted for its eclectic mix of musical styles incorporating elements of disco, pop, reggae, and early rap music. Due to Chris Stein succumbing to a rare disease they disbanded in 1982 and Debbie Harry pursued a solo career while caring for her partner Chris. The band re-formed in 1997, achieving renewed success and a number one single in the United Kingdom with "Maria" in 1999, exactly 20 years after their first UK No.1 single ("Heart of Glass"). 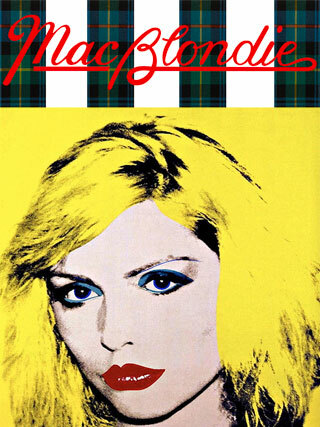 Retaining a huge fan base the band are as popular now as they ever were and are imitated by talented musicians, worldwide – tonight we bring you Scotland’s Blondie tribute MacBlondie a genuine quality tribute to Blondie! Many people’s first lady of Rock and Pop, P!NK burst onto the music scene with the arrival of the new millennium. Her first album “Can’t Take Me Home” (2000) was certified double-platinum in the United States and spawned two Billboard Hot 100 top-ten hits: "There You Go" and "Most Girls". She gained further recognition with the Moulin Rouge! soundtrack "Lady Marmalade", which gave Pink her first Grammy Award as well as her first number-one single on the Billboard Hot 100. Tonight we present our very special tribute to this very special lady. Looking for a solid night of rock and soul classics? Well that’s what Hotel Caledonia deliver - a classic set of songs from one of the greatest bands to come out of America in the past 45 years. 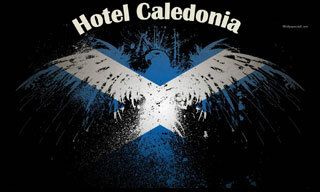 Hotel Caledonia comprises of 6 experienced and multi-talented musicians who have chosen to celebrate and share those timeless and classic songs with Eagles fans old and new. Don’t expect any disappointment! After all, The Eagles are the soundtrack of the 70’s and the very definition of the classic west coast sound. There are some very good Duran Duran tribute bands out there who play the songs and play them very well and they all love each others work. However, if you're a tribute to a band from Birmingham who helped launch MTV in America in 1982, were at the cutting edge of an often under-rated pop culture phenomenon and are still one of the biggest bands on Planet Earth to this day, then it needs to be more than just playing the songs. A band who sold about 120 million albums (when selling plastic was all the rage) and became an influence on everyone from The Killers, Franz Ferdinand, Beck, The Orb and The Arctic Monkeys to The Eagles Of Death Metal and dozens of other top bands then you've got a lot of work to do. DURANanDURAN present an evening of genuine affection for the best boy-band concept since The Beatles. DURANanDURAN are the best DD tribute band on Planet Earth. When, in August 1981, Neil Tennant and Chris Lowe met up in an electronics shop on Kings Road in Chelsea, London, who would have believed that almost 40 years down the line they would have sold in excess of 100 million records worldwide, including 42 top 30 singles (22 of them top ten hits, with 4 at number 1) and be recognised by The Guinness Book Of records as the most successful musical duo in UK history? 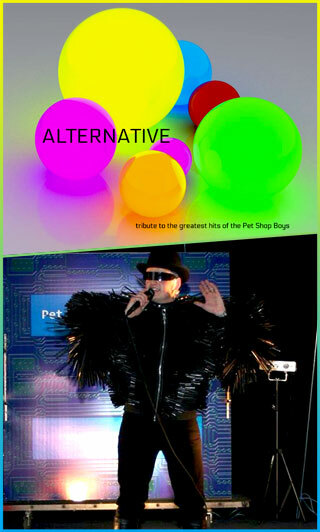 Tonight ALTERNATIVE provide a tribute to the music of The Pet Shop Boys with a show incorporating all the greatest hits and it’s guaranteed to have you dancing all night long on a packed dance floor! 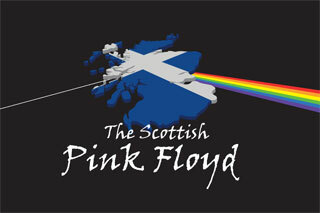 A special show from one of the UK’s top tributes to the music of PINK FLOYD. Don’t miss this 2 hour production, covering the entire catalogue of Floyd classics complemented by amazing sound and light effects – just like the real thing! Become a Friend Of The Ferry and receive regular discounts on more than 100 events annually, It’s simple just sign up on our home page. Check out our elite, but inexpensive, GOLD CARD MEMBERSHIP with even bigger discounts, free nights and many more benefits. CLICK HERE to find out more about this membership and how to book.